Whether you are looking to spend the weekend relaxing or out in the elements, rest assured you will be very comfortable. The full list of amenities is available at our main site, www.nebagamon.weebly.com, such as satellite HDTV, foosball, and other games. The sauna seats 7 comfortably. The stove is electric and has a digital control that can be programmed to turn on with up to an 8 hour delay. In the heart of Winter, plan for 45-50 minutes to heat up. 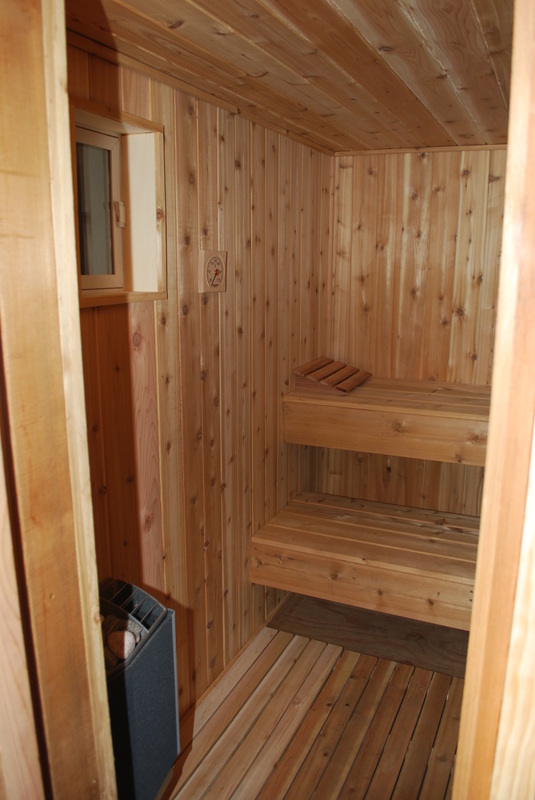 Note: the sauna is located in the boathouse, which is next to the lakeshore, and not attached to the house. Wood burning fireplace in the upstairs of the home. Plenty of split and dried firewood easily accessible just outside the back door. This is not a primitive hunting shack experience. The home has a standard forced air furnace that brings the house to desired temperature very quickly. There is also a tankless water heater that provides hot water on demand and never runs cold.